Is your wardrobe ready for this spring and summer? Check out our colorful suggestions for this season. It is springtime! Nice weather is coming. The sun will be shining. We can enjoy outdoor life again. It's time for fresh and bright colors! In fashion, new season means new colors. True bag lovers can't wait to do some serious shopping. Of course it has to match your new outfit. Is your wardrobe ready for this spring and summer? Our bestseller of Peter Kent is always available in many different colors. Every season they have temporarily new colors. 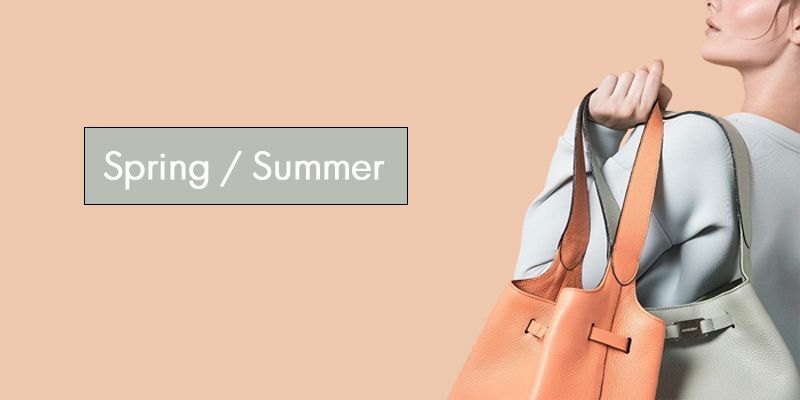 For this leather handbag the spring colors are: yellow, pastel green (mint) and summer blue. Attention to all lovers of pink! Is pink your favourite color? Then you must have some patience for a little while longer. Queen Máxima frequently appeared in public with this luxury pink handbag. And this pink Baulito will be available soon in our webshop! So keep an eye on our website! From Máxima to the Dutch colors is a small step: red, white, blue and orange. Do you like orange? We do! And probably everyone in Holland. 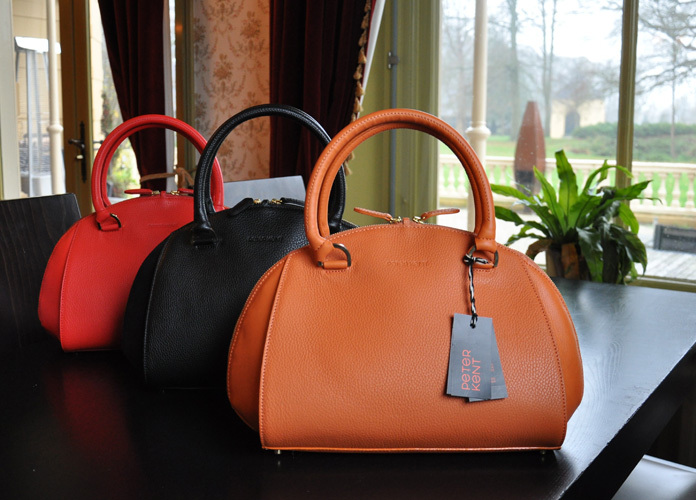 What do you think of handbag Lisboa by Peter Kent? It's a sturdy leather bag with a large main compartment. The gold colored metal hardware and studs on the bottom give the bag a chic look. A beautiful color for nice sunny days! Also a very popular Peter Kent bag: San Francisco. 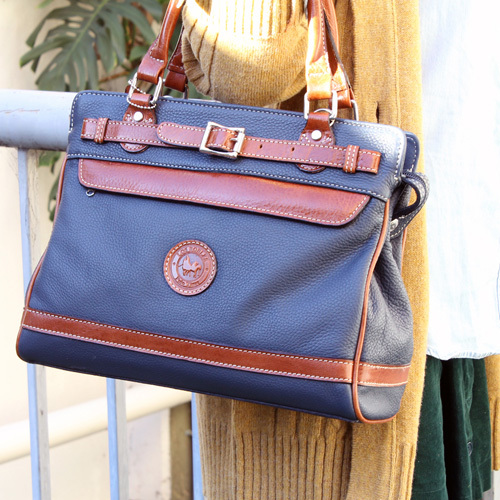 This shoulder bag is very comfortable, because the leather is extremely soft. This so called bucket bag is a roomy bag shaped like a bucket. It has a lot of space for all your stuff. In the shoulder bag there is a small flat bag to put your money in and a keycord. So you don't have to search for your keys anymore, you can easily pull it out! 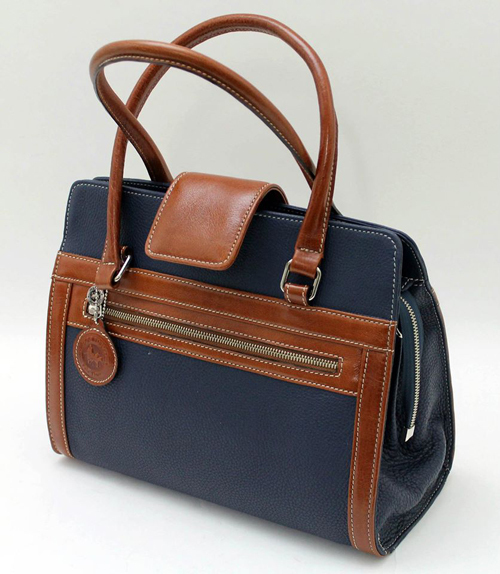 Do you want a luxury shoulder bag of the highest quality leather and still have a casual look? This is your bag! Red is the color of love and passion. 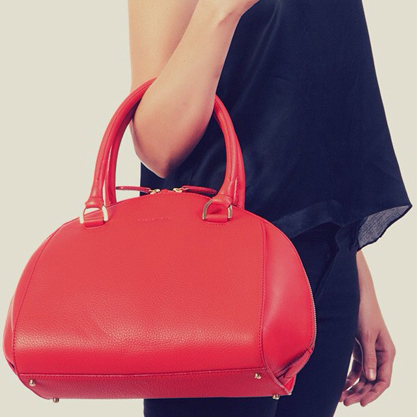 A red handbag is perfect to wear in spring and summer but also great for the Christmas Holidays in the winter. In other words, a must have in your wardrobe! Lyon is a beautiful red handbag by Peter Kent. Made of fine and sturdy full-grain leather. This handmade bag has a very soft touch. 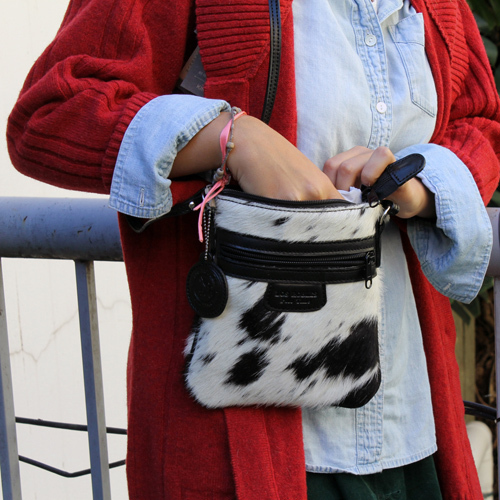 You can also wear it as a shoulder bag, because of the removable shoulder straps. Pretty ideal, right? White is the new black. In the spring and summer white is all around us. You can match this color with every outfit. A lovely fresh color for this time of the year. 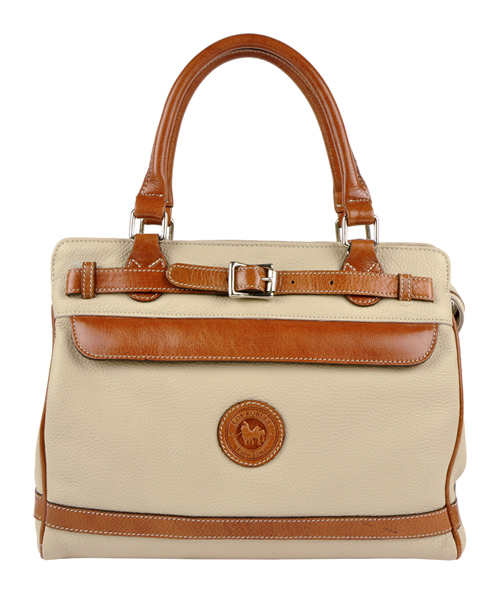 A truly dazzling off white handbag is Istanbul by Peter Kent. A handmade bag, made of one of the best quality leather in the world. Nappa leather is known for its softness en durability. 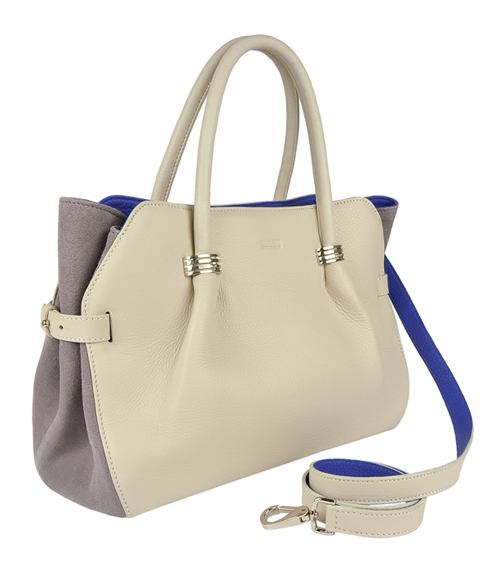 The combination of white and blue makes this stylish handbag perfect for this summer! Blue is everywhere these days. This springtime we see different shades of blue. 50 shades of blue you could say. Fresh summer blue like the Baulito above, but also denim blue. The Floresta by Los Robles Polo Time is denim blue. This luxury leather handbag looks like the famous and popular Hermès Birkin bag. On sunny days a small, flat shoulder bag is very handy. You probably don't want to carry a large bag around in the summer. 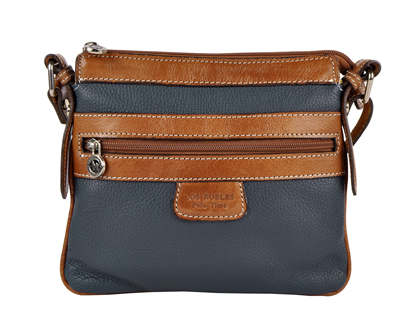 This small and thin crossbody bag is so convenient, you can wear it easily on your shoulders. Hands free and you can still bring all your necessary things with you! Get ready for a lovely and colorful spring and summer!